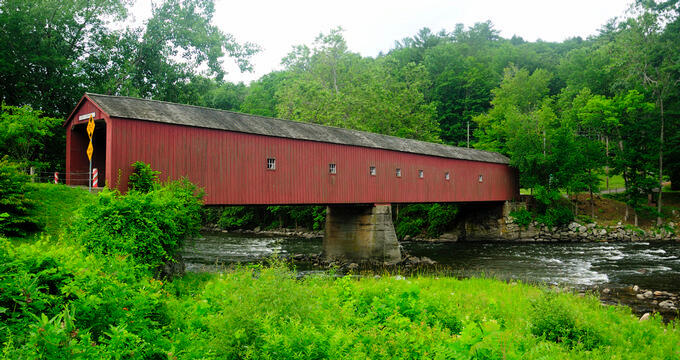 Located in the northwest corner in Litchfield County, Sharon, CT is a small town close to the Housatonic River. The town has several attractions and activities, from watching a show at the Sharon Playhouse community theater to exploring the natural fauna and flora of the region at the Sharon Audubon Center. The Sharon Playhouse is a community theater that presents a variety of classic shows and high-quality performances ranging from dramas to musicals throughout the year. Established to entertain the community of Northwest Connecticut and encourage an interest in the performing arts, the regional theater presents plays on the main stage in the summer months, along with concerts and special events in the Bok Gallery throughout the year. 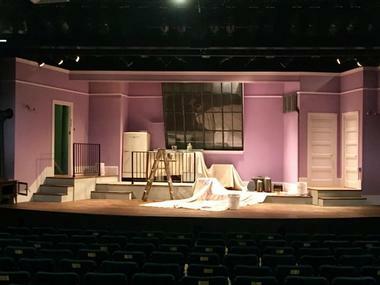 The Sharon Playhouse also offers a youth production on the main stage and theater camps for children each summer. The Sharon Audubon Center is a community nature center spanning 1,147 acres with dense forests, two tranquil ponds and 11 miles of hiking trails. Part of Audubon Sharon, which also includes the Emily Winthrop Miles Wildlife Sanctuary, the Sharon Audubon Center features a Visitor Center which houses a small hands-on natural history museum with several exhibits documenting the fauna and flora of the region, a Children's Adventure Center, and the Audubon Nature Store. The center also runs a Wildlife Rehabilitation Clinic where injured, and orphaned wildlife are rehabilitated and looked after, and other attractions on the grounds include a Herb Garden, Raptor Aviaries, the Eleanor Loft Bird & Butterfly Garden, and a working sugarhouse. Located in the scenic Litchfield Hills, Ellsworth Hill Orchard & Berry Farm is a family-owned and operated farm that features an array of fun activities for the whole family. 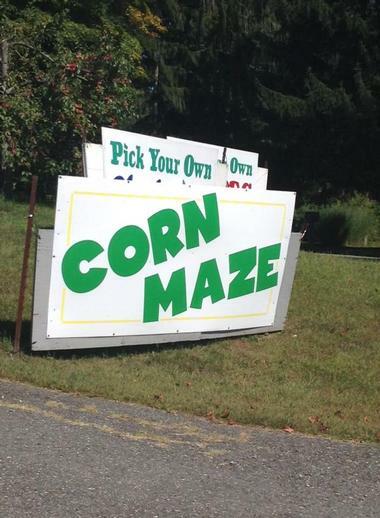 Visitors to the farm can enjoy exploring a large fun and educational corn maze, fall hay rides, a vintage model train display, and picking a variety of fruit and vegetables such as apples, plums, peaches, pears, blueberries, cherries, raspberries, blueberries, pumpkins and gourds. 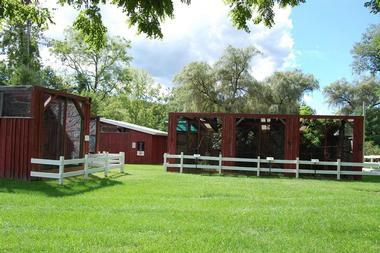 The farm also features a shop that sells freshly baked pies, donuts and fresh pressed cider from the cider mill too and amenities include ample parking, modern restrooms, and self-guided tours. Located in the rock-strewn valley of the Housatonic River, Housatonic Meadows State Park is a 452-acre state park area along the Housatonic River that services both the towns of Sharon and Cornwall. Surrounded by the rugged hills of the northwestern uplands, the public recreation area offers a variety of outdoor recreational activities such as hiking, camping, hiking, canoeing, picnicking, and fly-fishing on a two-mile stretch of river. The tall pines along the riverbank are ideal for camping, and a 61-campsite features restrooms, showers, potable water, a pay telephone, and ample parking. Nearby parks include the Macedonia Brook State Park, the Lake Waramaug State Park in Kent, and the Mohawk Mountain State Forest. 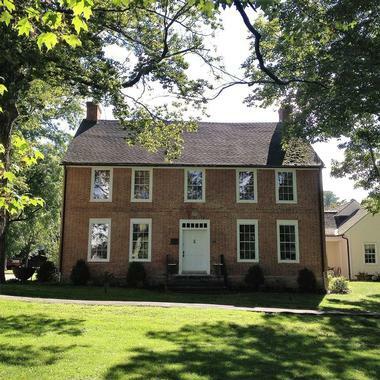 The Sharon Historical Society is a community museum and history center that boasts an extensive collection of objects that tell the story of the region’s early settlers and presents a wide range of cultural and historical programs. Established in 1911, the museum is housed in the 1775 Gay-Hoyt House on Main Street and features a range of art and history exhibits that celebrate the region’s strong cultural roots. A ‘Culture Café’ is situated in the museum with comfortable leather chairs and couches, wireless Internet access and fresh coffee on the go all day. The Harlem Valley Rail Trail is a scenic 15-mile paved rail trail that meanders through the beautiful countryside of the Dutchess and Columbia Counties. Situated on an abandoned portion of the New York and Harlem Railroad, the path is divided into two sections and is popular with hikers, joggers, bikers and horseback riders. Once an abandoned rail line, it was converted into a public park in 1989 and opened in 1996. The trail begins at the Wassaic Metro North Station and winds its way northwards through the eastern side of Dutchess County and into Columbia County. There are currently 10.7 miles of completed between Wassaic and Millerton and an additional five miles in Ancram. Expansion plans for the trail are expected to increase the length of the trail to over 46 miles. Lime Rock Park is a 1.53-mile historic road racing circuit and motorsport venue in the hamlet of Lakeville in Connecticut’s Litchfield County. Built in 1956, the racing venue spans a mile-and-a-half of up-hill and down dale with an extremely challenging track and has played host to several championship races, including the Trans-Am and Atlantic as well as the Camel GTP and ALMS championships, and the 1959 Formula Libre, which changed the face of motorsports in America. Other top events that are hosted at Lime Rock Park include the Memorial Day Weekend Season Opener in May, the IMSA WeatherTech Northeast Grand Prix, and the Historical Festival. Amenities at the venue include the Lime Rock Café, Harpoon Tavern, two additional concession stands, picnic tables, and a merchandise store. When Pigs Fly Southern BBQ is a modest eatery resembling a Southern roadside barbecue shack and serves mouthwatering apple-, hickory- and cherrywood-smoked barbecue ranging from baby back ribs and beef brisket to pulled pork and beer can chicken. Adorned with pigs mounted on the walls and hanging from the ceiling, When Pigs Fly Southern BBQ serves an array of sides with their signature barbecue platters, including deviled eggs, smoked bacon black-eyed peas, vinegar-spiked collard greens, and Cheddar jalapeño biscuits. 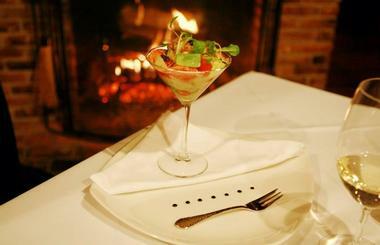 Other items on the menu include a handful of Louisiana specialities such as seafood gumbo, crab cakes and po’ boy sandwiches, jambalaya, and crayfish, along with three salads. When Pigs Fly Southern BBQ is open for lunch and dinner, seven days a week. 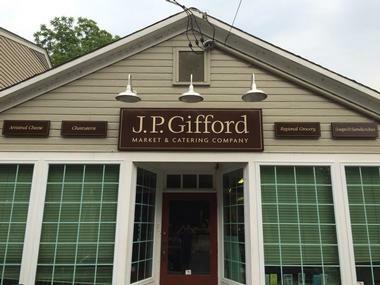 J.P. Gifford Market & Catering Company is a food emporium that offers a variety of unique foodstuffs, locally grown products, prime meats and fresh seafood, and freshly baked goods. Founded in 2010 by Mike Moriarty and James Neunzig, the emporium exudes an ambience akin to those of renowned markets around the world and provides a space for people to gather, enjoy good food and shop for one-of-a-kind items. The market sells fresh produce which is delivered on a daily basis, and the catering side of the company provides full-service event coordination and planning for casual parties and large events. J.P. Gifford Market & Catering Company is open seven days a week. The McEnroe Farm Market is one of New York’s oldest and most diverse certified organic farms and boasts over 1,100 acres of fields, pastures, and greenhouses. Established in 1953, the McEnroe Farm began as a dairy farm called the Ray-Barb Farm and grew from a small roadside stand to year-round market, offering locally grown organic and seasonal groceries. The biodiverse organic farm and market have a restaurant that uses the prime meats, fresh organic produce and dairy to create healthy, delicious, and sustainable meals.